Kipper is a best-selling book and animation character from Mick Inkpen, creator of Wibbly Pig and winner of many awards. 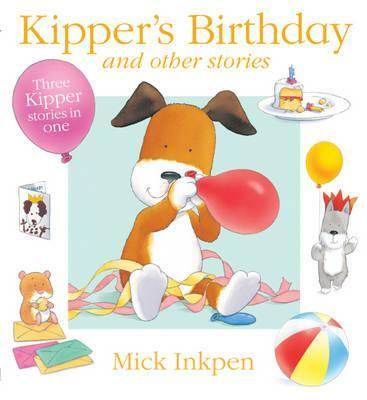 (The tv series won a BAFTA) This new collection includes Kipper's Birthday, the story of how Kipper had a fantastic birthday, even though he wasn't QUITE sure which day it was! Kipper's Beach Ball, where Kipper and Tiger find the most glorious inflatable ball in a packet of breakfast cereal, and Kipper and Roly, where Kipper makes a new friend in Roly the hamster. Can he bear to give him away? Full of fun and inventiveness, Kipper is surely the best pup to grow up with.